Fr. 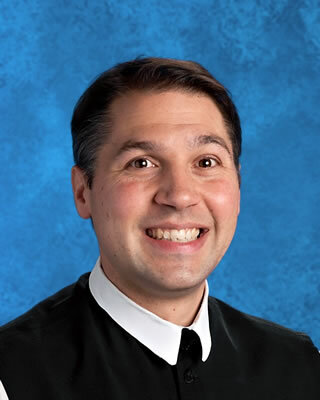 Augustine Hoelke (CPS '00) was born in Dallas in 1982 and he entered Our Lady of Dallas in August, 2004. He made his solemn profession on August 20, 2009 and was ordained a priest on August 20, 2010. In addition to teaching history and religion, at the school he serves as the Form Master for Class 2026 and as coach of the Quiz Bowl team. He is also a cantor in the Abbey.